TELL CITY —The U.S. Forest Service plans to close the restroom facility at its Mano Point site the week of April 1 due to health and safety concerns. Due to the location of the site adjacent to the Ohio River, it is subject to flooding. To protect water quality, and public health and safety, the district ranger has decided the restroom must be closed to all use. The Forest Service plans to analyze alternative locations for this structure to better serve the public. The Mano Point site had been previously used as a boat launch. Due to continuing siltation associated with flooding, the boat launch was closed in 2017. Mano Point is an important historical and archaeological site. It is named for an artifact found when the site was being built in the 1960s. A mano is a grinding stone used along with a larger stone called a metate to grind flour. Based on the number of artifacts collected there in the 1960s, archaeologists believe this was once the site of a Native American village which stood on the banks of the Ohio River from the Early Archaic Period (7500-6900 BC) to the Late Archaic Period (4000-1000 BC). More recently, the Ohio River from St. Louis, Missouri to Pittsburgh, Pennsylvania was designated as an extension of the Lewis and Clark National Historical Trail, including all of Indiana’s southern border. 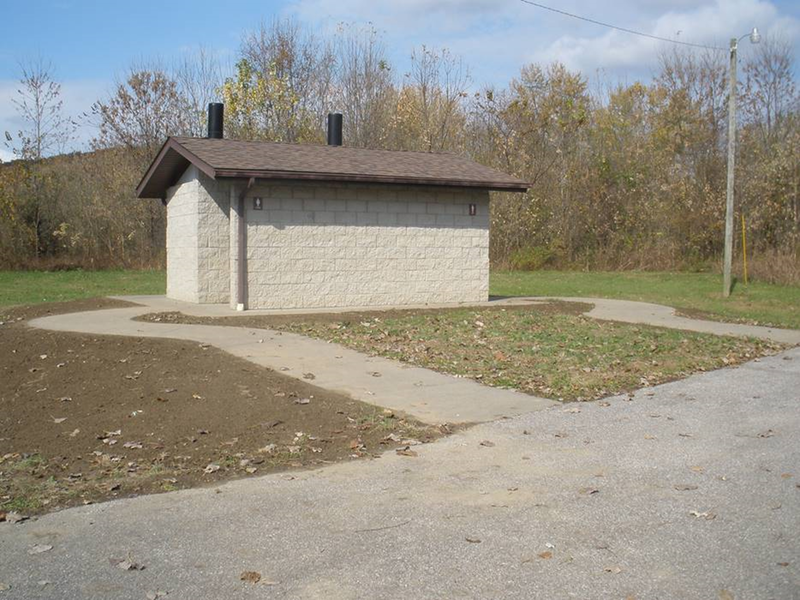 The parking area, picnic tables and interpretive signs will remain, and the public is welcome to view the Ohio River, fish from the bank, and learn about the history of this unique area. For information about the Hoosier National Forest visit www.fs.usda.gov/Hoosier or call 1-866-302-4173.